This is a sponsored post. However, all other opinions are mine. I run on coupons, or should I say my household run on coupons. I have to, because as a one-income household, we need all the help we can get! I am always trying to find great deals to match my grocery shopping or for us to hang out as a family doing something spontaneous. I love to save money and I love to let my husband know that I saved his money! :) Right? It's always better when I find great deals that include coupons! When I know I can save some money, it really takes the stress out of my gut! So whether it’s stocking up on sale items, getting a discount or using coupons, saving money really helps our family! I've always seen Groupon online, but didn't research the benefits of using this program. I thought it was just for getting a good deal on events! I have definitely been missing out! 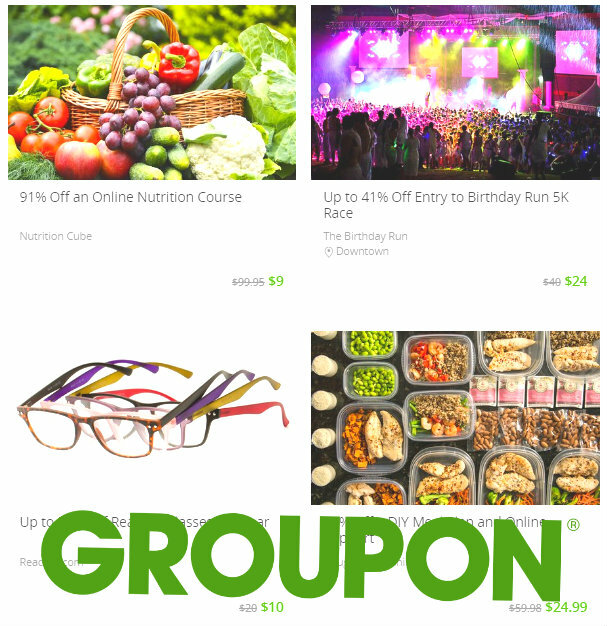 With Groupon Coupons, you can save on more than just events and experiences! Groupon allows you to find coupons that work and are verified with your favorite retailers. It's great to know that I can use this resource for so much more for our family! Groupon is FREE! There's no need to sign up for membership or having to worry about fees. It's great to have a service that is easy to use! After all, we are in the age of all things tech! I am also impressed by the variety of coupons available through Groupon Coupons. I can easily search for coupons based on where I will be shopping and also the area I live in. How easy is that! Groupon Coupons has coupon offers for everywhere you can imagine. You can shop offers before you go shopping or do so on the go with your mobile phone! The codes and offer are frequently updated, so if you see a deal you want, go ahead and use it before it changes! With our anniversary coming up, I can peruse deals that would be helpful to us celebrating and even find a nice gift for the husband. For awhile now I"ve been thinking of a trip just for us. 42% Off a Family-Fun Package at Kart Ranch! Kayak Rentals and Guided Kayak Tours at Bayou Sara Kayak Rental (Up to 54% Off). Gun-Range Package or Concealed Handgun Permit Class at FRC Range & Safety Training Center (Up to 51% Off). In store or online, Groupon Coupons is ready to give you the deals you are searching for! What would you do with all the money you save? The possibilities are endless or worthwhile! What is a great coupon you have used or would love to use? Visit their website to find all the Promo Codes and deals you are thinking of using and start saving and enjoying more of living with Groupon Coupons!